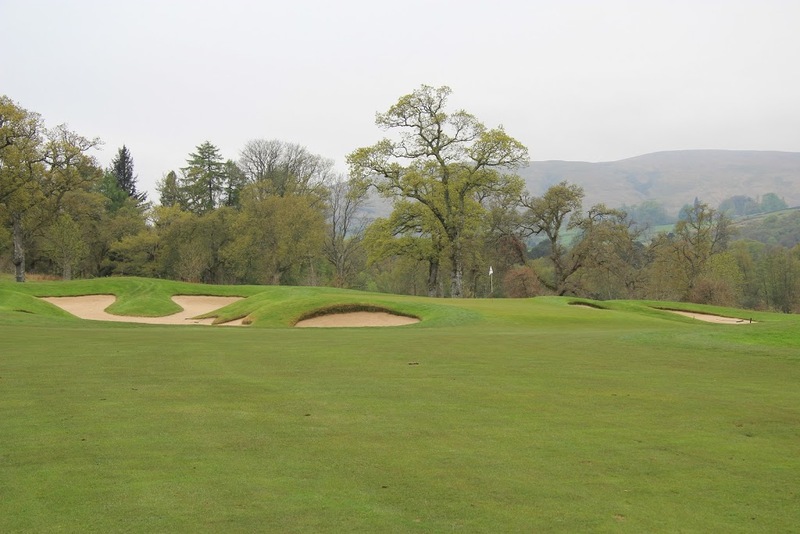 Loch Lomond Golf Club proved to be one of the most enjoyable and memorable experiences that I have had at a golf club. The level of luxury and service rivals any top club in the world. 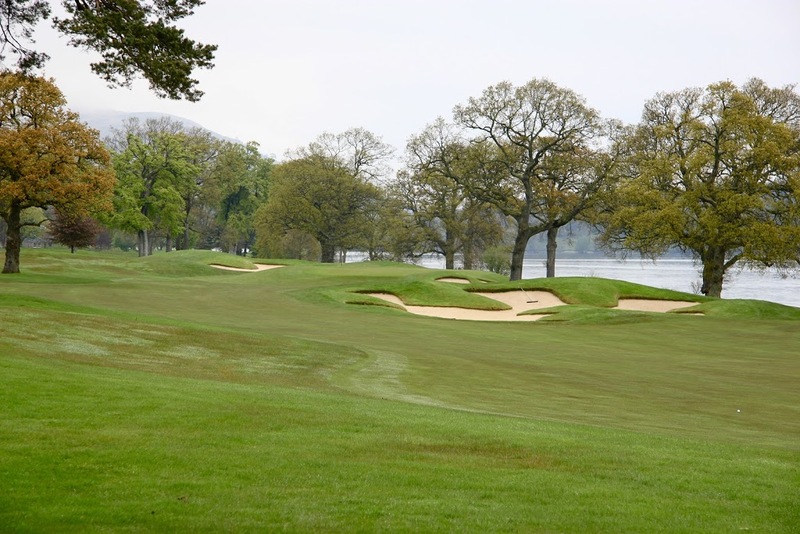 Loch Lomond is arguably the most exclusive golf club in the UK, and it proved extremely difficult to arrange a round. After two and a half years of trying to get on, I gave up, and as these things go, I was randomly approached a few months later with the opportunity to play. What a round it turned out to be! 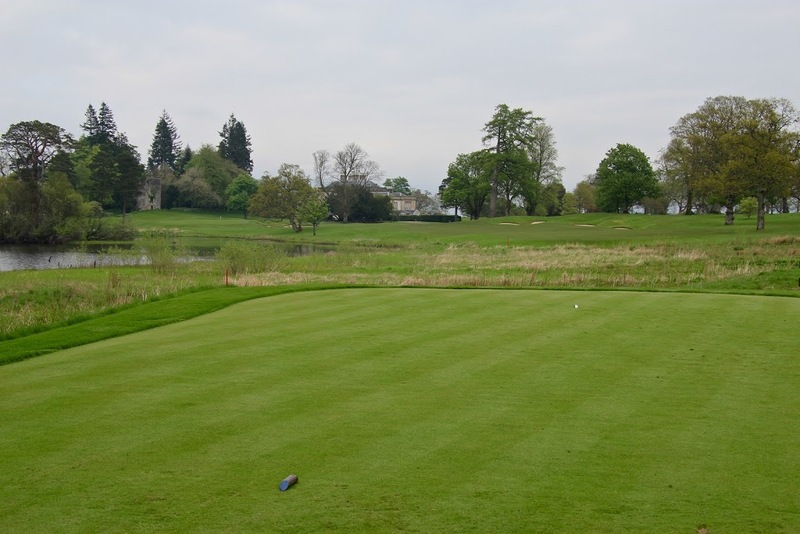 We pulled through the imposing guarded gates of Loch Lomond Golf Club and made our way around a small bay. 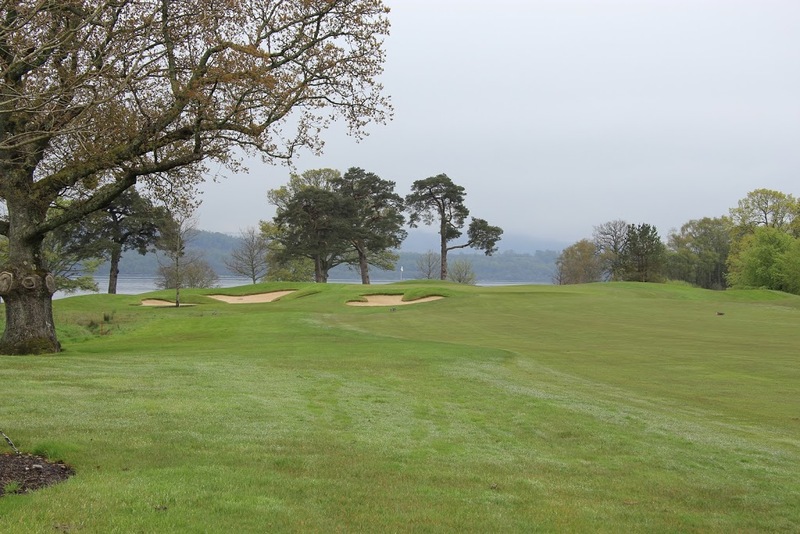 Holes 17 and 18 can be seen along your left, as well as a sight of the club’s large yacht, which is available to members to use on the 25 mile long Loch Lomond. The picture is framed by a beautiful view of Ben Lomond in the background. Once rounding the bay, the imposing Rossdhu Mansion comes into breathtaking view. The stunning manor house, built in 1773, serves as one of the world’s most luxurious clubhouses. We met our host member in front of the clubhouse and made our way to the tastefully understated, yet amenity filled, gorgeous locker room. A visit to the pro-shop and a chat with the pro told us that we were one of only four groups out that day, and we would have the course to ourselves. A beautiful lunch and drinks set the scene before heading out to the range and teeing off. 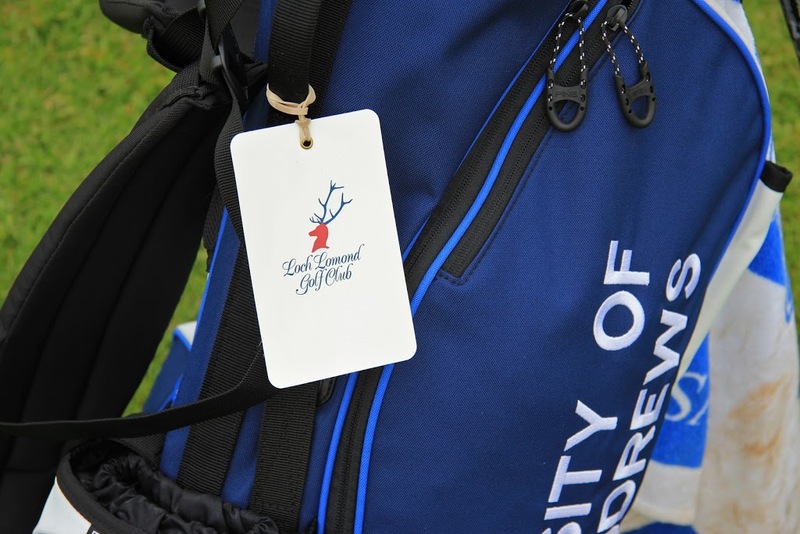 The exclusivity and lore surrounding Loch Lomond leads one to expect a stuffy and “up-tight” experience behind the gates, but reality is the polar opposite. Everything was incredibly relaxed. Staff and members were equally friendly, and everyone seemed to be great friends sharing jokes and stories and enjoying each other’s company during our visit. 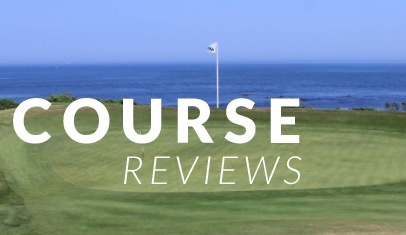 The Tom Weiskopf and Jay Morrish designed course is currently ranked #73 in the World. 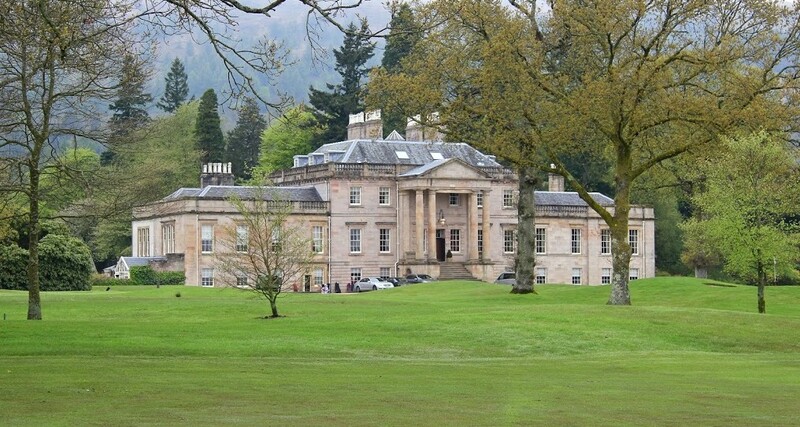 The views of both Loch Lomond and the surrounding hills are breathtaking. Unfortunately, during our visit there was low lying cloud cover, but the temperature and weather were otherwise excellent. Hopefully, another visit to the club can happen when it is nice and sunny! The approach to the 1st green (pictured above) sets the tone for the course. 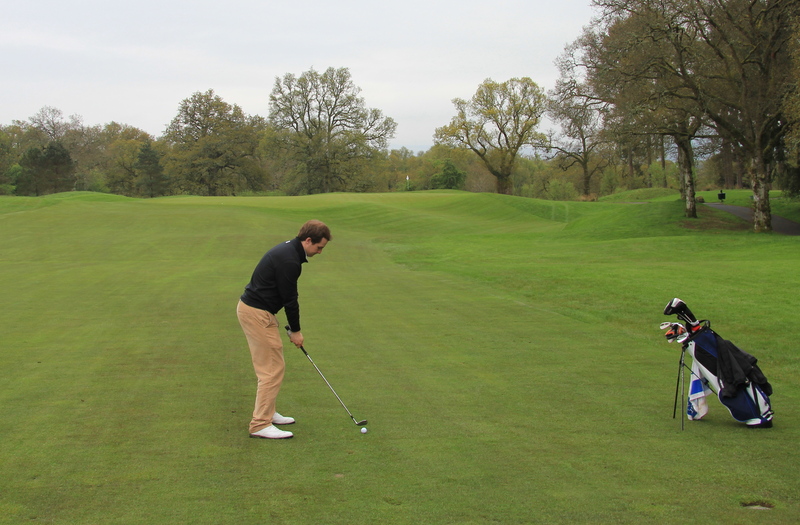 The tee shot works uphill and to the left, demanding a well placed tee shot on the right-hand side of the fairway. 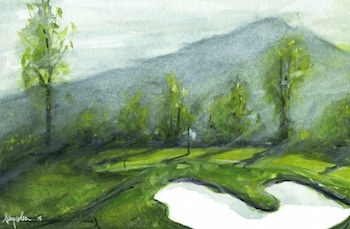 Heavily bunkered, but fair, green complexes were to be found the entire round, with thick lush rough punishing any wayward balls. 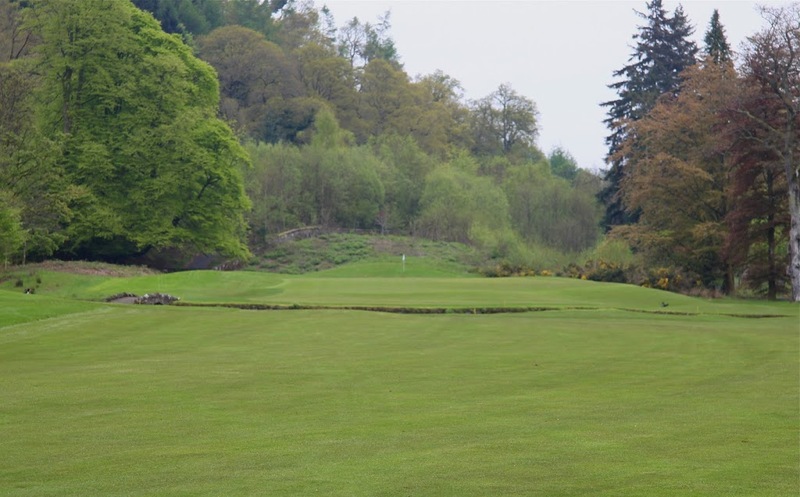 The 3rd is a dogleg left par 5 working out towards the loch. The tee shot demands a big ball to carry the bunker guarding the corner, and trees short right of the green put a premium on well placed layup shots. A small body of water short right of the green deters people going for the green. It is an excellently designed hole. 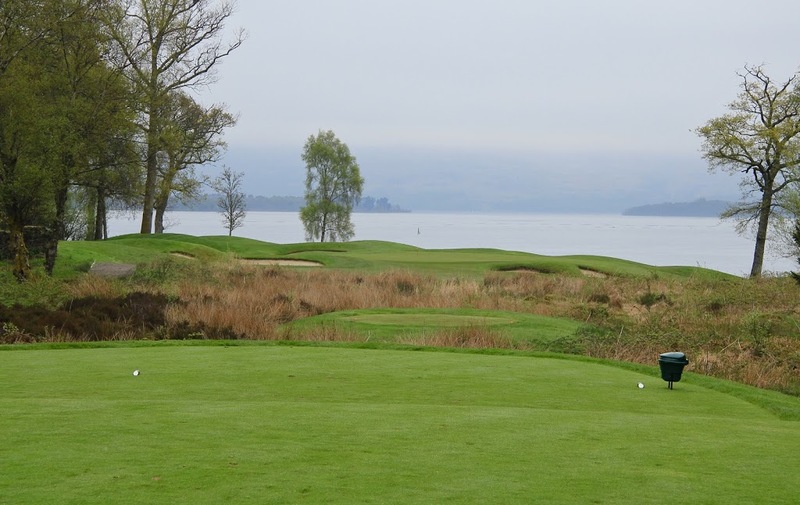 The par 3 5th measures 175 yards with a gorgeous view of the loch and hills (in the clouds) framing the green. It is another example of a very fair, well designed green complex that punishes poorly struck tee shots. The green is considerably deeper than it appears off the tee. 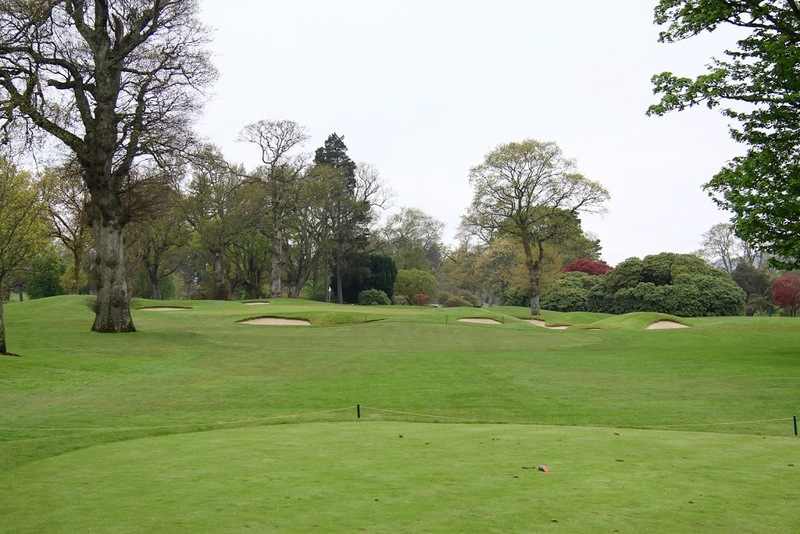 The 6th hole is a 580 yard par 5 and is the number one stroke index hole. This picture was taken from 255 yards out in the left rough, and shows the beautiful bunkering on the second half of the hole. The loch sits ominously close on the right side of the hole, and everyone in our group subconsciously aimed or pulled their shots left trying to avoid the water. Number 8 is a par 3 directly in front of the clubhouse. 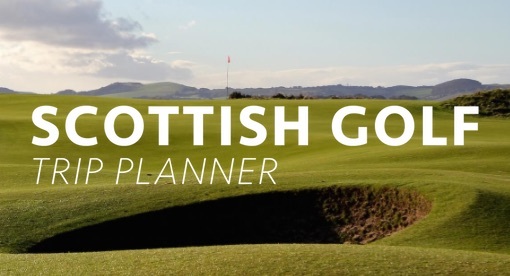 It is a fair 160 yard hole with a frightening amount of bunkers distracting golfers from the primary objective – hitting the green. 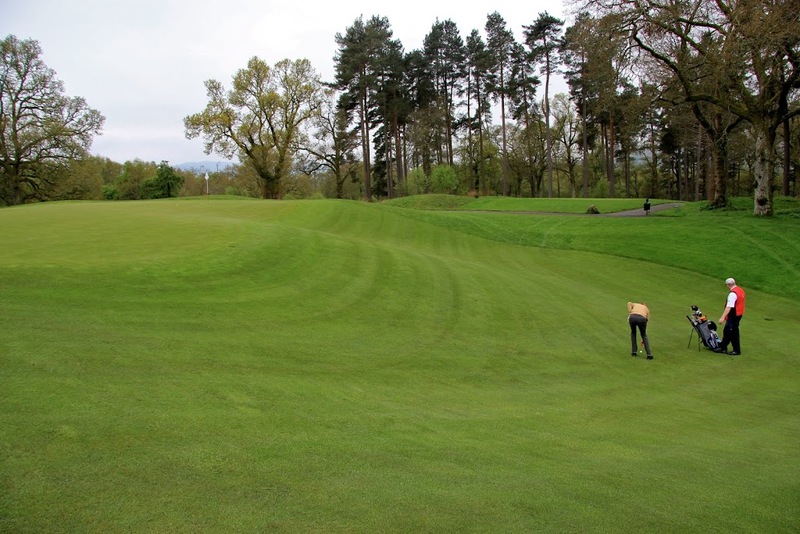 After having called in your food and drink orders using the club phone hidden in a tree off the 7th tee, Loch Lomond staff meet you off the edge of this green with food, drinks, and cigars. The staff seemed to always know where our group was on the grounds, and anticipated our needs and desires. For instance, upon finishing the rounds, our normal shoes had been polished, our golf shoes were taken to be cleaned and polished, and our car had been valeted from the off-site lot in case we needed anything from the trunk. 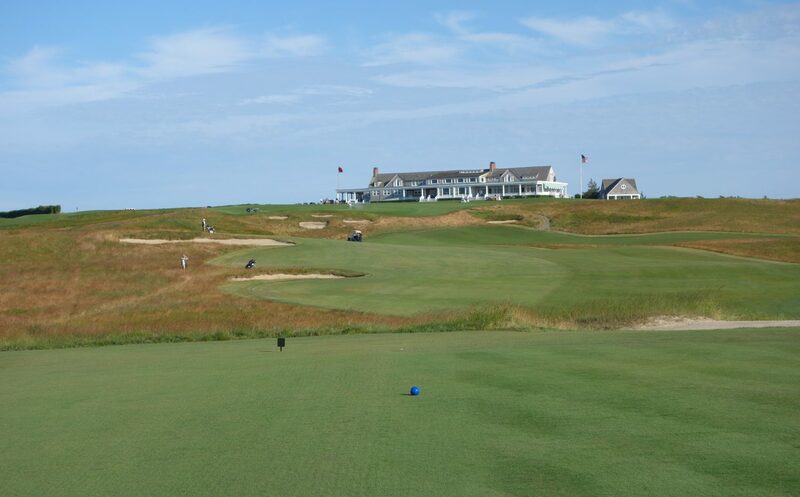 The 9th is a short 325 yard hole, whose main defense is a wickedly small and well bunkered green. A hybrid off the tee left just under 100 yards to the hole, which was positioned on a thin band of green measuring less than 15 paces wide. The 12th hole required a solid drive in order to put a short iron in hand for the approach shot. 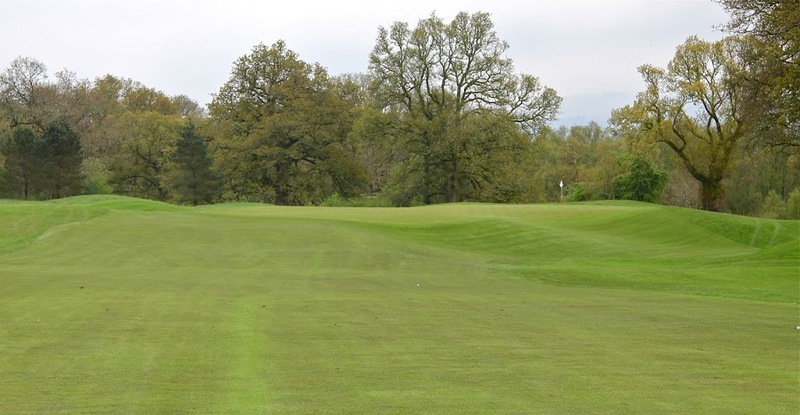 The green is very intimidating with a large false front / collection area short right (seen pictured above with the golfer and his caddie). 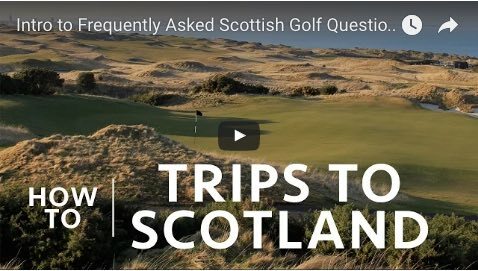 It was one of my favorite holes on the course, and I would love to have stood out in the fairway and hit practice balls into the green all afternoon. The 14th hole (not pictured) was a reachable 320 yard par 4. Golfers have two options playing the hole. 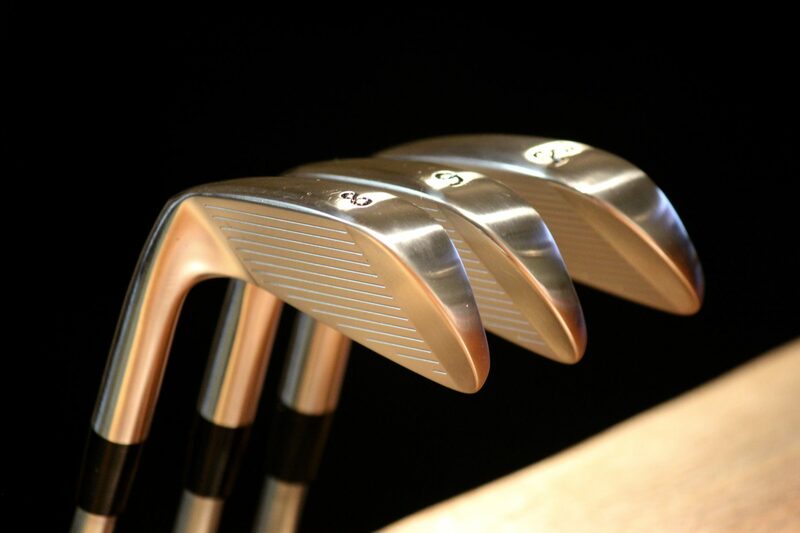 You can hit a hybrid club down the left, or aim directly at the green, hitting over the marsh and burn on the right. Click on the photo to enlarge and see both options off this tee box. Our group saw three birdies and a par on this hole. Three of us playing off 3 handicaps hit the green (unheard of according to caddies), and oddly enough the fourth player who took it down the left side made one of the birdies. I was fortunate enough to have an eagle on this 16th hole. It is a 515 yard par 5 and, after hitting a drive down the right side of the dogleg left fairway, I was left with 240 yards into the green protected by a small body of water (pictured above). A solid 3 wood left a make-able 15 foot putt. My caddie was a man named Jim who had been working at the club fourteen years. He was incredibly helpful the entire day, and he read that eagle putt perfectly. 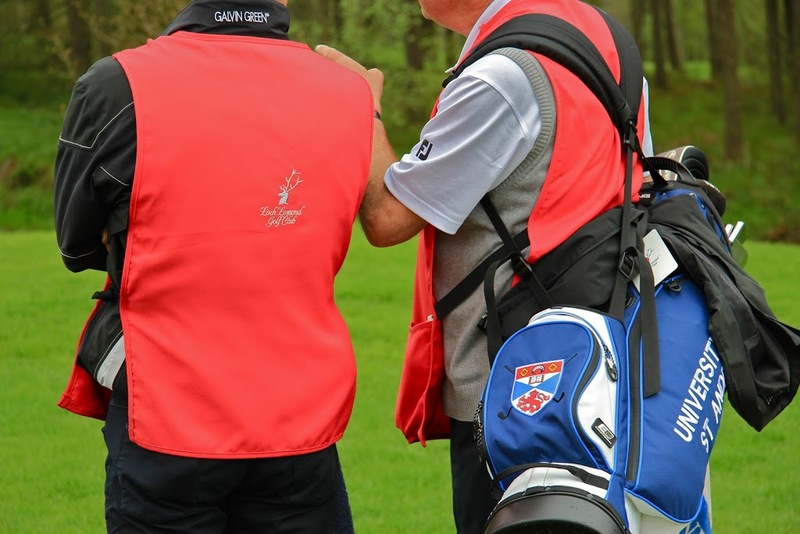 He was invaluable during the round and I was grateful to have him on the bag. 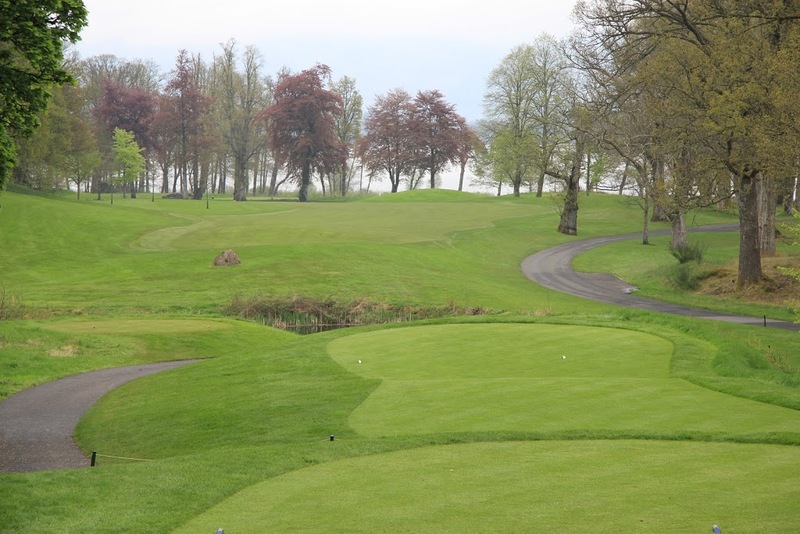 The finishing hole was a dogleg left hugging the contour of the bay. 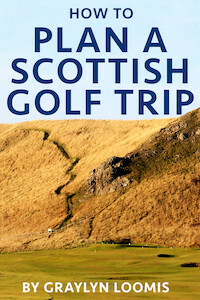 Big hitters could aim at the right edge of the clubhouse to cut off the edge of the loch. The risk was aiming too far left and getting stuck behind the trees (as I did) or, worse, having the slope kick your ball into the water. 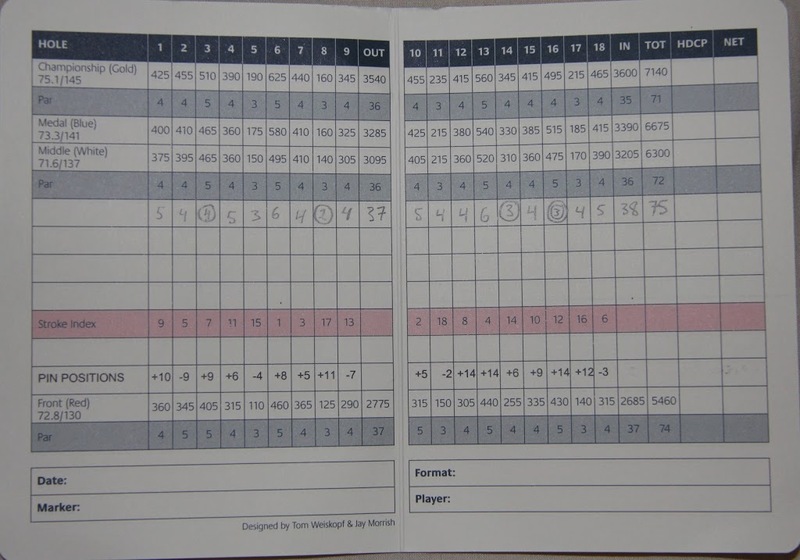 It is a strong finishing hole, which capped off a course featuring many tough, but very fair, holes of golf. When our round concluded, staff were waiting off the green to take our clubs and check on our needs. We headed into the bar for drinks and dinner. After a few pints, we placed our dinner orders and headed into the luxurious locker room to have a shower and change clothes. As would be expected, the shower was once of the best I have ever experienced. 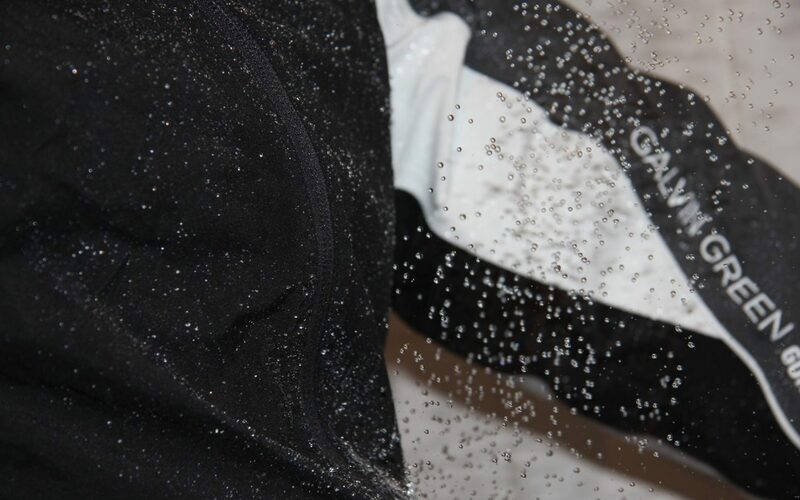 On the PowerShower rating scale, it received an unheard of rating of 9, tying for first place with Prestwick Golf Club’s member locker room showers. The food and atmosphere were second to none, as was the menu and drink list. 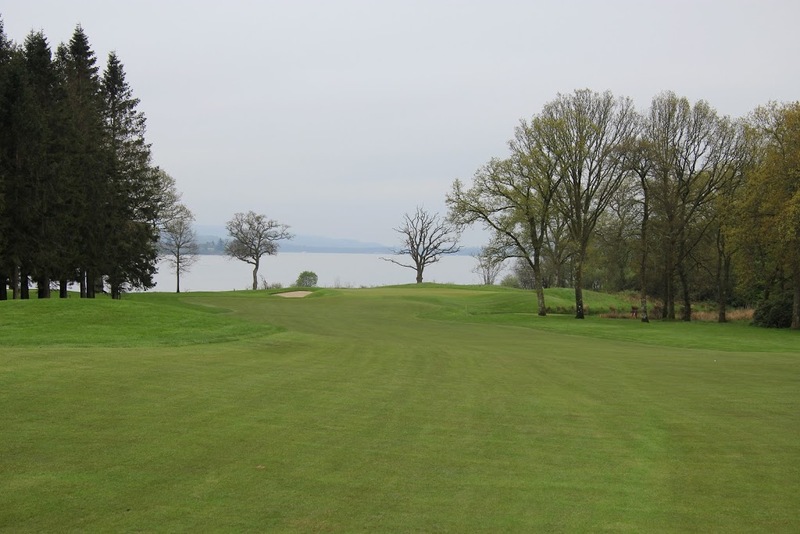 The golf at Loch Lomond was extraordinary, but it was the overall experience that will make my visit to the club so memorable. I have to thank our host member for his incredible generosity, good golf, and good chat throughout the day. The sense of occasion surrounding the round will not be matched any time soon!